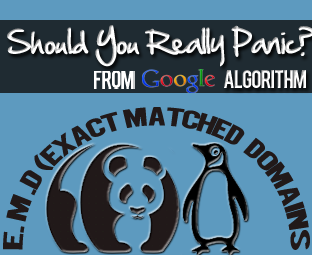 Google Algorithm Updates: Should You Really Panic? Since, a couple of months back you might have heard and read on different blogs about the Google Algorithm Updates such as Panda, Penguin, EMD and the latest one Above the Fold Page Layout Algorithm (Will explain about this Update later). Most webmasters request Google to reconsider their website for manual spam or they depend on the solutions that can help them to recover from the Algorithm Updates. However, this article might prove out to be a shocker for you as this post is totally different from others. Today we will answer a million dollar question that, a Blogger should panic on these Algorithm Updates? Well our answer to this question is a NO! A blogger should not panic on these Updates. Shocked, let me explain. No doubt, content is the Master Key to a blog's success. For a successful blog, your content should be real, unique and fresh (up-to-date). If your content is weak or copied, then you cannot get the glory that you are expecting. Bloggers are still in doldrums in terms of their content. They ask from others whether their site is producing highly professional content, and that is wrong. The person who writes an article has all knowledge to rate it either of high quality or low quality. Therefore, if you believe in your abilities of producing glorious content then keep on repeating the same technique. With rich contents, you need decent keywords too. Strong and effective keywords play a gigantic role in a blog's success. Remember, USA and America have the same meaning for humans but these two words are entirely different from Search Engines. However, don’t overload your content with numberless targeted keywords keep it straightforward because users don’t search for too complicated keywords. It is the most significant pillar of blogging. If your first 3 pillars are strong then, you can get lots of traffic but not user satisfaction. Sometimes your personal choice differs with the majority of others. In the professional field, you have to keep your personal interests aside to satisfy your users. Try to interact with your readers make them happy and enjoy the irresistible traffic. After following these four pillars of blogging, believe it or not you don’t have to care much about the algorithm updates. Instead of focusing on Algorithm Updates, concentrate on making your pillars stronger and deeper. If you will make your pillars strong then, Google will not even think of harming you. 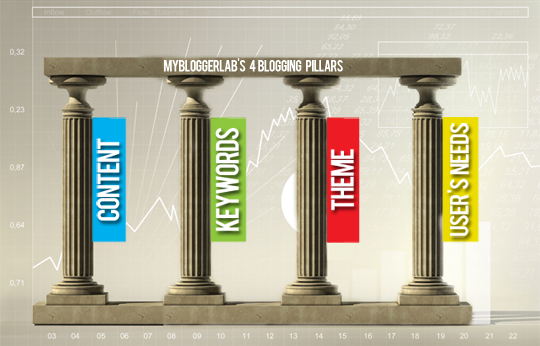 Make your pillars strong so that your blog becomes a need of Google. Quality is never rejected in any case! However, if you fail to make your pillars strong then forget about the Algorithm Updates, you can be penalized even with a small blow! That's Indeed Very Accurate because we work for our readers and They Need Content. Not Only Content, But It Should of High Quality. On the Other hand, We have to make sure that they are happy, if they are then. What Ever Google do to you but your readers will keep their legs onto your blog. And If you got hit, Don't worry stay calm and consistently work on your content and one day every single SERP Ranking Will Return. Thanks for Leaving Your Valuable Comment. Peace and Blessings Buddy. I thought i would never hit by this update. Agree with you bro,very useful post for bloggers who are in tention about these updates. Quality of content is always best, for this we have to use a best theme for our blogs so that content can be easily read by our readers. 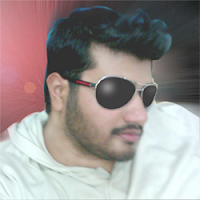 Thanks Sunil, For Remembering Each and Every Feature of MBL Blog. Actually That's Not a Certain Widget, its part of our Custom Theme Design. Therefore, it would be tough to share exactly the style. However, we will love to Share more Design Similar that we have on our Blog. In third line under the heading Four Pillars of Blogging replace week with weak and than with then. In last line under Conclusion replace word than with then and failed with fail. Thanks a lot Buddy! Well, I can't Blame Haider For this Because He Told me To Review the Work and I Didn't do that Properly. So Lets See the Following Result. 2. Doldrums And Dilemma: Actually The Word "Doldrums" Mean a Sort of Confusion and "Dilemma" Means problem offering two possibilities. So, I Think the Both Words Will Work Pretty Well on that Sentence. 3. Repeating Instead of Rotating: Thanks Its Been Replaced. 4. Rich in Place of Worthy: Thanks Man Done that Too. 5. Hesitate In Place of Avoid: Well, Actually When we have Quality Content with Rich environment but you own a Dull Theme then People might Hesitate to Visit your site so we have used that mind set. 6. Adding "From" in place of With: Though "From" could also work in that place but since you are one of this golden readers we have also changes it. 7. Replacing "Then with Than": Thanks Done. 8. Replacing "Failed With Fail": Done. Well, Thank you a ton buddy really you made our day. No Need to say sorry for point out our silly blunders. You are the critics and you have the full freedom to say load, Especially at this MBL Blog. We will try to keep our quality super because we do have some quality readers who are hungry for quality content. Thanks for your mouth watering comment!